Before I go into the equipment meltdowns I had a couple weeks ago, I want to give a huge shout out to John and the rest of the mechanics at Bob’s Bikes who have kept me up and running even when I put extreme loads on all of my equipment to the breaking point. They get me back up and running again every time!!! The wheel speed sensor mounted on the front fork. The cadence sensor mounted on the non-drive side chainstay. Setup was super easy. You simply slide the iphone into the phone booth, and the iphone automatically connects to the Apple appstore to download the free app which is the display for the power meter. Make sure you either have a phone signal or are connected to a wireless network before inserting the iphone. You can customize each of the training screens, but I primarily keep mine on the power gauge screen shown above. This has the most important statistics for me: power, average power, speed, slope, max slope, cadence, and heartrate. Note that power and heartrate are both color-coded based on user-configuable Functional Threshold Power and Maximum Heartrate. Also, note that these statistics are completely customizable in very much the same manner as any of the Garmin bike computers. Prior to switching to the iBike Dash plus Power, I was using the iBike Generation III power meter. The Generation III meter is smaller, less expensive, and lighter than the iBike Dash plus Power. The larger size of the iBike Dash enables it to have more accurate wind sensor readings. Also, it allows the iBike Dash to have a beautiful large easy to read user interface. The older Generation III had an acceptable user interface, but there was no backlight so you couldn’t read it after dark. 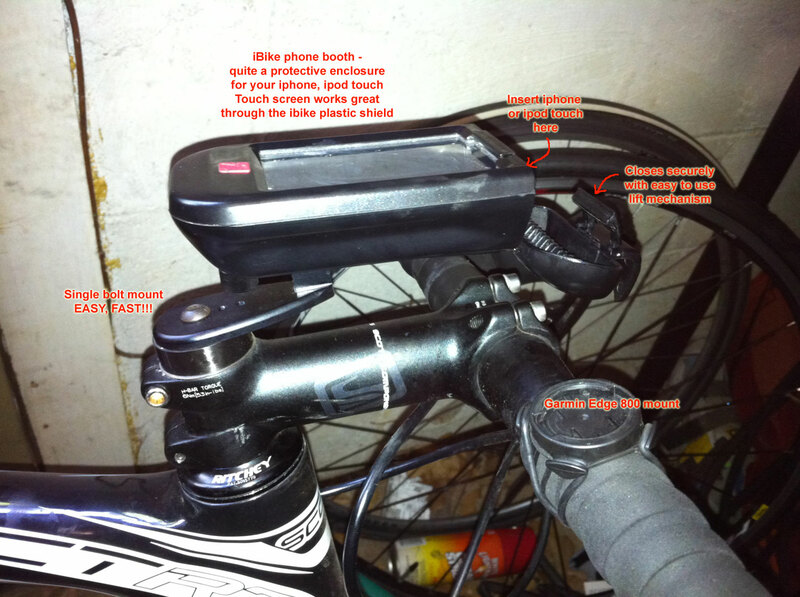 NOTE about my iBike Dash plus Power setup: I am using my wife’s old iPhone 3G with no cellphone account activated on it, but it still works great recording all the GPS information and transferring files when connected via wireless network. But one of the big complaints against the old iPhone 3G is its slow processor, and you do notice that when running the iBike app. I would definitely recommend using an iPhone 3GS or iPhone 4, which have much better processors than the old 3G. Having said that, I am using the iPhone 3G and can put up with the slow response time especially when switching between windows. Summary If you are a data junkie or looking for a more affordable way to measure power, the iBike Dash plus Power is the way to go. You get a sleek user interface, a handy carrying case for your iPhone, and all the data you could ever want. Contact me if you have any questions about the iBike Dash or shoot me an email to setup a ride with me where you can see it in action. Wednesday and Thursday passed without incident. After hearing about all my equipment woes from the previous week, Roger hooked me up with these sweet Michelin racing tires, which I used for Dothan and Mississippi Gran Prix. Next up for these tires is Barbers this weekend and then USA Crits Speedweek (Athens, Roswell, Spartanburg, Dilworth, Sandy Springs). Also in this pic are the Rudy Project strydon sunglasses that I won from the January KOM climbing competition on Strava. So that about sums up things, and randomly, here is my 4 year old mountain biking through the woods in our neighborhood. Check out those skills and no training wheels! 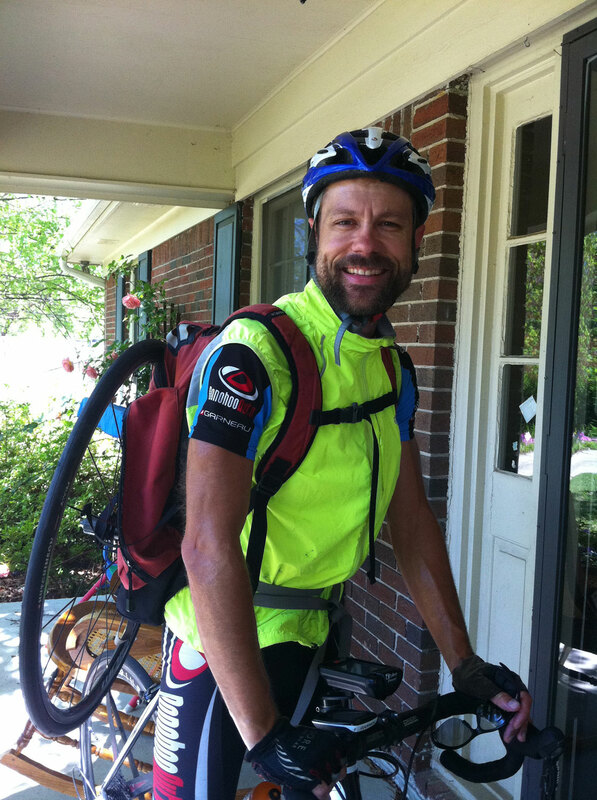 This entry was posted in Training and tagged equipment, ibike on April 21, 2011 by kartoone. Sweet! The prize for reading through ALL those techy details is a great Josiah pic! Love it! “Definitely time to say good-bye to the Cane Creek wheel. $5 or best offer. 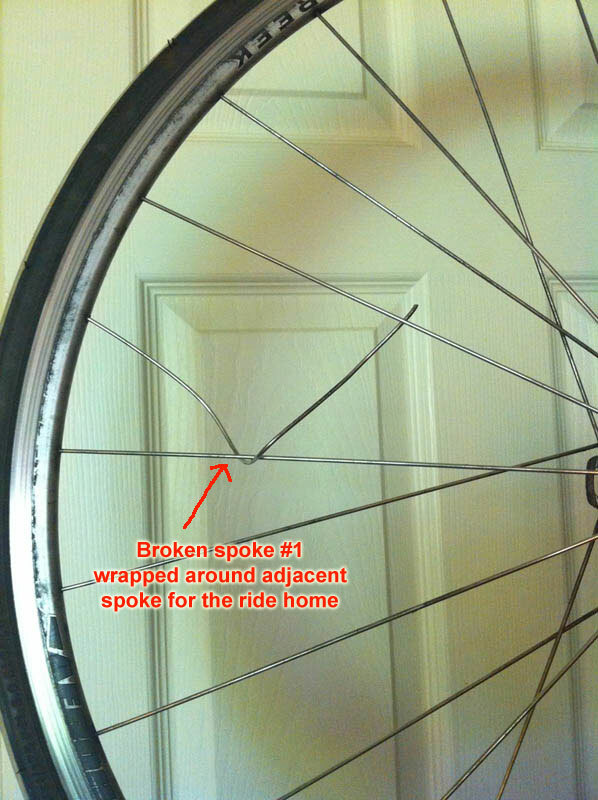 Needs new spoke. Brian, I will give you $5. This might be a really stupied question, but how does it actually get the power data? Do you have to buy something separately? Hi Christy – not a stupid question at all – there is nothing extra to buy to get it to measure power. The way it calculates power is by measuring the two primary resistive forces (wind and gravity) and doing a calculation based on a value for road friction and aerodynamic drag that can be adjusted using calibration software that comes with the device. It’s not as accurate as a correctly configured powertap, quarq, or srm — but it is pretty good. You get more variance with the iBike, but the overall average power works out correctly for the entire ride (I’ve got a powertap to compare it with) and for smaller segments. There is a screen that shows you a 1-minute average power and that seems to match my powertap pretty well. Plus, if you can borrow a powertap when you first get the dash, you can use the powertap to calculate the aerodynamic drag coefficient pretty accurately. Any ANT+ heartrate monitor will work (so the polar ones won’t work), but the Garmin HR strap works great as does the powertap HR strap (which is what I use). 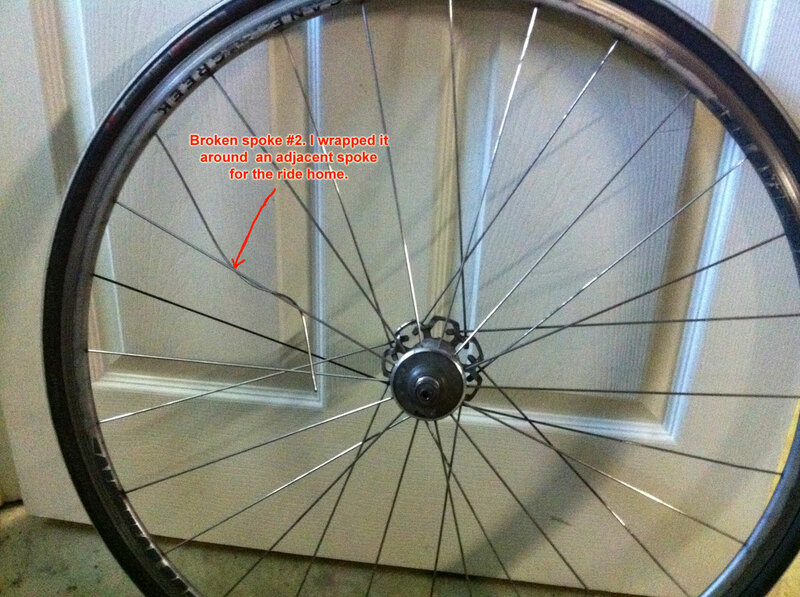 thanks so much, this may be the answer to my problem…and an early birthday present!